Fabio is a Colombian political scientist. 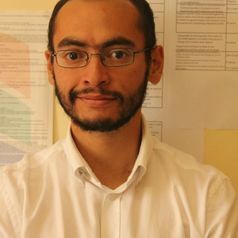 He is a Research Associate at the Department of Political and International studies at Rhodes University in South Africa and a Researcher at the International Institute of Social Studies in the Netherlands. Fabio works at the intersection between theory and practice, and his research interests are related to state strength, civil war, conflict and protests in the midst of globalization. In addition to his academic publications, his analysis has been published by Al Jazeera, Time, The Conversation, Los Angeles Times, among others.